Today is the last day of Elliott Bay Bicycles and on my wall, in my office, is the second bike Bill Davidson built for me. 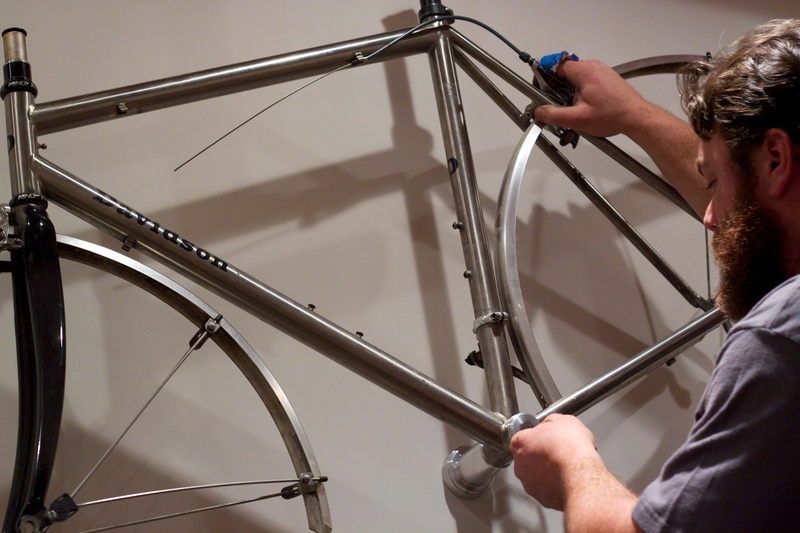 It’s a rain bike, with long-pull brakes and plenty of room for fenders. 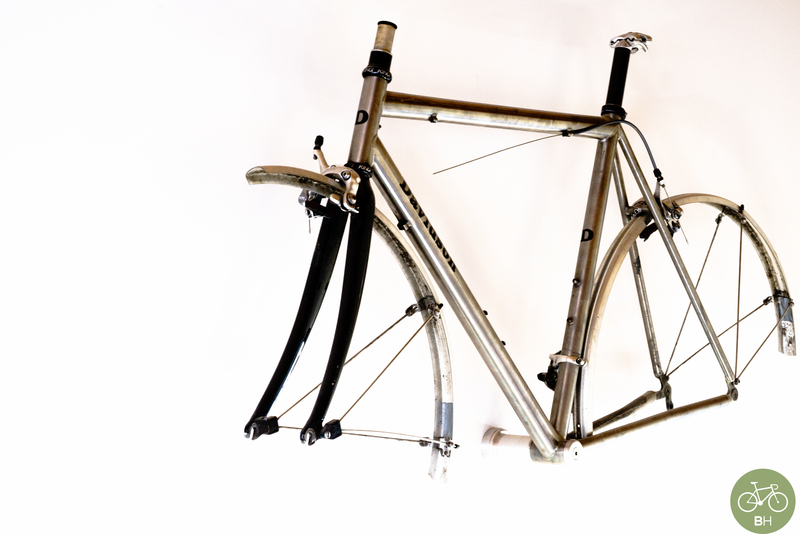 When the third D was built, the Modal, I rode the rain bike one last time, took off the parts we needed, and hung it up on the wall. Later, during a remodel, had a custom wall mount made for it. That was made and mounted with the same care as the first build. 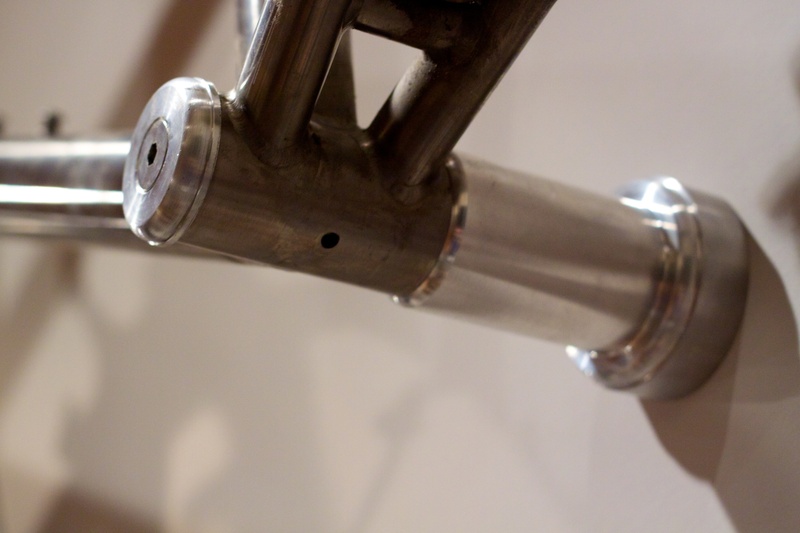 As I glance up occasionally at the frame, it reminds me of the great work we did there, in the shop for the past decade. Remember, between Mark and me, there are no long goodbyes. Just waiting to learn where Mark V lands and for when Bill makes us another bike….